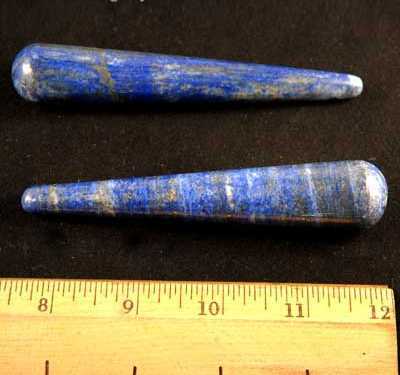 Are There Do's and Don'ts for Lapis Lazuli? "It should not be used by those suffering from diabetes or those who have extra fat on their bodies." Hope this all made sense! I look forward to hearing from you! Crystals for healing should be used as a compliment to other therapies and not as a replacement for regular medical care. I have reseached several books including Love is in the Earth and I can find no reference to this weight loss restriction. As a matter of fact all my sources say that Lapis Lazuli is an excellent stone for restructuring and balancing the cells and the body. So I would have to say just the opposite. Because it balances cellular function, it can help regulate sugar levels, and help in weight loss. And by programing its ability to balance the body it can help to reach the balanced weight for you. You must remember that interpretation of a crystals metaphysical properties is an intuitive process. Only you can decide if a crystal is right for you. If when you hold the crystal or wear the crystal and it feels right then it means that some aspect of the crystals properties is responding to a need in you. So I say go with your intuition. Your the best judge of whether you should wear the stone.